Dr. Lacasse is currently an academic neuroradiologist and assistant professor at the University of Sherbrooke. She is also an adjunct professor of neuroradiology at McGill University. 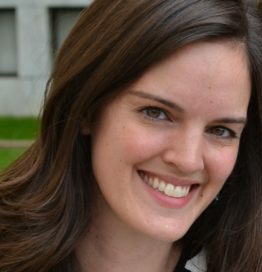 Dr. Lacasse completed her medical studies at McGill University in 2010. She then pursued a diagnostic radiology residency at the University of Montreal. Upon graduation in 2015, she completed a two-year diagnostic neuroradiology fellowship at the University of Toronto, where she acted as chief fellow during her second year. Dr. Lacasse is actively involved in the regional head and neck tumour boards in Sherbrooke. She is also part of the residency program committee at the University of Sherbrooke and enjoys teaching residents and fellows, witnessing them evolve into independent practicing radiologists. Outside of medicine, Dr. Lacasse enjoys travelling around the world, photography and playing basketball.